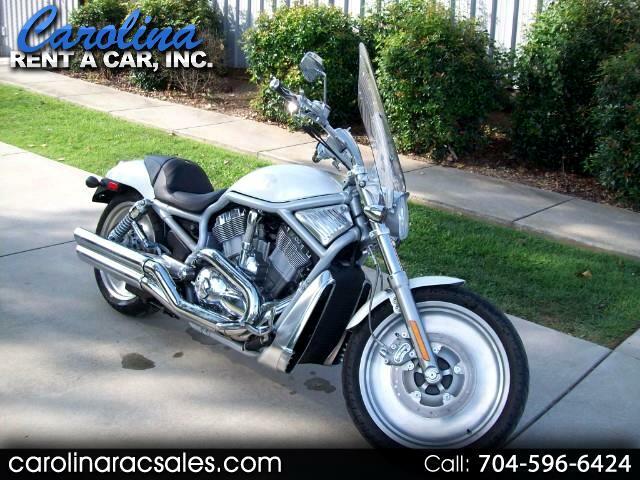 Used 2002 Harley-Davidson VRSC for Sale in Charlotte NC 28213 Carolina Rent A Car, Inc. This is a one owner bike with custom pearl white paint located in Charlotte, NC. All the factory Silver parts are available for purchase, fuel tank and both fenders. Customer added a windshield and some other trim pieces. In great shape barley ridden and super low miles. Call John at 704-596-6424 to schedule a time to see this great bike. Message: Thought you might be interested in this 2002 Harley-Davidson VRSC.